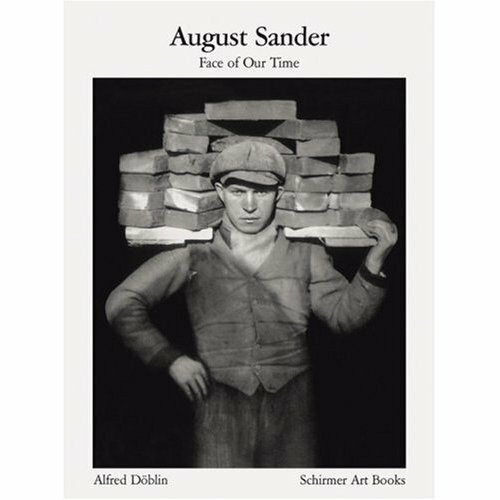 Of all the photographers I have reviewed August Sander is perhaps the one who is most often quoted as an influence by other portrait photographers. Sander was a German photographer working in the early part of the 20th century. In 1929, he published Face of Our Time (Sander ) which contained around 60 portraits. The book was an extract from his larger work Menschen des 20. Jahrhunderts (Citizens of the Twentieth Century), a collective portrait of Weimar society consisting of over 500 images (this work was never published in its entirety). This was divided into forty-five portfolios organised into seven sections. Each section depicted a specific population group, including farmers, workers, professionals, and city dwellers. Sander is famously quoted as saying that ‘the individual does not make the history of his time, he both impresses himself upon it and expresses its meaning’. (Percival 2005 , pp199) In Sander’s mind, the individuals, immortalised within his photographic portraits, can become symbols of their time. This idea was central to Sander’s work and his beliefs about the way that photographs convey meaning. In Camera Lucida, Roland Barthes discusses the way in which photographs can create meaning outside of their literal interpretation. He uses the analogy of a ‘mask’. In his words: ‘Since every photograph is contingent (and thereby outside of meaning), Photography cannot signify (aim at a generality) except by assuming a mask. It is this word which Calvino correctly uses to designate what makes a face into the product of a society and of its history’ (Barthes 1993, pp34) What Barthes is saying here is that for someone pictured in a photograph to come to stand for something beyond just themselves, their face must assume the qualities of mask, which can be ‘worn’ by others and which can convey more generalised ideas and concepts. Sander’s believed in physiognomy which was an accepted pseudo-science in his day. In a 1931 radio lecture he is quoted as saying ‘Physiognomy is above all insight into human nature…’ ( Sander 2009, pp 28)The belief that a person’s facial features or expression or appearance are indicative of character or ethnic origin or station in life is of course nowadays seriously discredited. No doubt the activities of the Nazis had much to do with revealing just how flawed this type of thinking is. So given all the concerns I’ve expressed above why then is Sander considered by many photographers to be the ‘father’ of the modern portrait. He has influenced the likes of Diane Arbus, Irving Penn, and Walker Evans. At the centre of this is the ‘apparent’ truthfulness and directness of his portraits. He does not attempt to induce emotion. Rarely are his subjects laughing or smiling or making overt facial expressions. They are pictured in the same manner, broadly square on to the camera with most looking directly at the viewer. The backgrounds are either neutral ‘out of focus’ scenes or plain studio backdrops. All of this gives his portraits an air of authenticity and ‘believability’. He also treats all of his subjects with same sensitivity and dignity. Sander’s other key influence has been his use of the photographic archive and the creation of a typology. Charlotte Cotton sees the greatest influence of Sander and other members of the German New Objectivity (Neue Sachlichkeit) photographers was because ‘their approach was encyclopedic: they created typologies of nature, industry, architecture and human society through the sustained photographing of single subjects, their most resounding influence on contemporary art photography.’ (Cotton 2004, pp 82) This influence was amplified by the photography and teaching of the Bernd and Hilla Becher, which gave birth to the Dusseldorf School of photography with the likes of Thomas Struth, Thomas Ruff, Candida Hofer and others. As regards Sander’s influence on my own work,four things stand out when I look at his work. The first is simply the prodigious scale of Sander’s project. He made over 500 portraits over some twenty years. Sander had an idea and steadfastly stuck with it. I have learned that producing one’s best work does not come easily and perseverance is essential for success. Second is his systematic approach. Here again the importance of the process is illustrated. I also admire the way Sander made dignified and sensitive portraits of all his subjects regardless of his perception of their status. This is something which I hope to do with my own portraiture. by maintaining an empathetic, dignified and sensitive approach. Finally, I would like my portraits to appear natural, unmediated and believable and in this regard Sander’s approach is an excellent role model. I think you’re definitely succeeding in your aim regarding having an empathic, dignified and sensitive approach. Why does a neutral background give more of an authentic air though as opposed to one where you can see people more clearly in their actual context? You’re right the background itself does not do this. It is of course possible to point the viewer towards specific conclusions about the subject by including elements within a background….portrait painting very often included ‘props’ to draw attention to certain qualities of the subject….books for learned people, maps for worldly people and so on. Holbein’s ‘Ambassadors’ is a good example of this. I think it is the combination of lots of factors which gives a portrait its feeling of authenticity – avoiding overt facial expressions (suggests that subject is not being theatrical); neutral rather than dramatic lighting (suggests that photographer is not imposing a certain mood); central and frontal positioning of the subject (relatively neutral positioning that is not overtly expressive); respectful, sensitive and dignified presentation of the subject (photographer respects the subject allowing him/her the space to present themselves); and a relatively neutral background (photographer is choosing not to lead the viewer into specific conclusions about the subject by use of ‘props’) . The overall effect is one which invites the viewer to make his/her own reading of the subject. At least that’s what I would really like to achieve. Of course, the subject’s demeanour and posture at the moment of image capture will convey meaning; the photographer will always select one image from many; the background even if it is neutral still conveys some meaning….so I guess it is about trying to make the portraits more ‘believable’ and to give the viewer space to form a judgement. That said it would be naive to think that any portrait is truly innocent. 500 portraits in 20 years? Blimey, the pace of life was different back then, wasn’t it? That was a portfolio of 500 portraits….guess he must have made many more…..but yes large format film does slow things down a lot! !